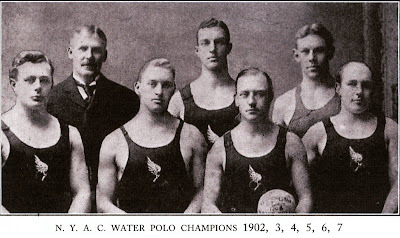 The team of New York Athletic Club winners ofthe US Championship from 1902 to 1907. Source: Swimming; The ideal exercise: Outing, by L. De. B. Handley. 1914.